Manitoba WCB is once again accepting applications for funding under the Research and Workplace Innovation Program, which promotes and funds scientific research, workplace innovation, training and education projects and knowledge transfer related to prevention of occupational injuries, diseases and return to work of injured or ill workers. RWIP projects are funded under three streams: Scientific Research, Training and Education and Workplace Innovation. Generally, each project is up to two years in duration and funded up to a maximum of $100,000 each year. A total of $1 million is available to fund qualified projects. Identify and examine best practices for RTW and disability management programming in Manitoba, including the development of leading indicators and predictive factors of success. Monitoring workers’ exposure to physical and chemical hazards. Identifying exposure levels and effective safety controls based on evidence from the monitoring. Educating and building awareness among all Manitobans about occupational disease and illness prevention. Strengthening partnerships to prevent occupational disease and illness. Develop practical tools that are cost effective and easy to use for risk assessment and mitigation strategies in the workplace. 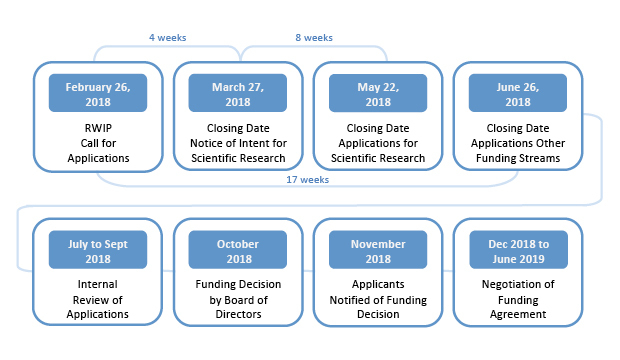 Manitoba WCB will also accept applications under the Scientific Research funding stream that are within the mandate of the RWIP but which do not address Research Priorities 1 and 2. Download a copy of these priorities here. For more information including application forms, see Manitoba WCB’s website at: Research and Workplace Innovation Program.